In the fall, New York State is struck with magnificent fall foliage. From Long Island to the Thousand Islands-Seaway, one can see a kaleidoscope of colors. Sadly, these will be gone before you know it. So, check out some of New York’s most Instagram-worthy foliage spots and make sure you bring your camera! Brimming with valley overlooks and mountain peaks, a drive through the Catskills will leave you breathless. 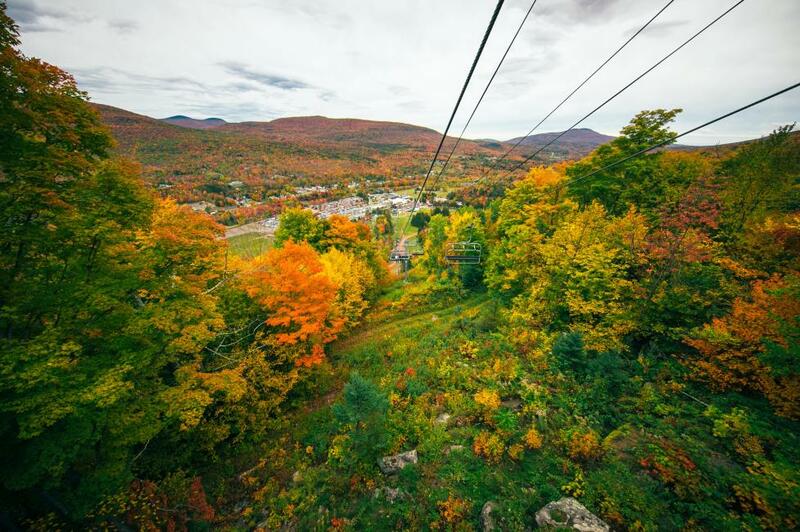 Weave through the forested landscape by car, walk the Catskill Scenic Trail or summit new peaks from Windham to Hunter Mountain. With 46 High Peaks and countless mountain lakes, the Adirondacks will greet you with awe-inspiring autumn colors. Watkins Glen State Park is home to 19 waterfalls cascading past 200-foot cliffs into an awe-inspiring gorge. Discover nature&apos;s splendor at this geologic wonder and plenty of other waterfalls and streams throughout the Finger Lakes. From Saratoga Spa State Park to the colorful woodlands of John Boyd Thatcher State Park, this region will reveal the colors of the season. Let autumn&apos;s colors be the backdrop to your newest discovery. Uncover the stories behind historic sites like Planting Fields Arboretum and the glamorous Gold Coast Mansions this season. New York City is bright with autumn colors. Get lost in the beauty of this cityscape by soaking in the foliage across Central Park or up in the sky from Top of the Rock. Dotted with island castles and majestic waterways, fall colors make Alexandria Bay, Boldt Castle and Singer Castle all the more enchanting. Whether you&apos;re canoeing on Lake Erie or kayaking down Canalside, fall foliage from the waterfront is breathtaking all across Greater Niagara. Panama Rocks Scenic Park, one of the region&apos;s most beautiful parks, is just one of many stunning nature preserves to soak in the season&apos;s fall foliage. Tucked into a sea of orange, red and yellow foliage, Chittenango Falls State Park makes your dream of fall hikes and waterfall picnics a reality.